Kriewall’s collection makes use of aural pleasures to lift and enliven the verses within. 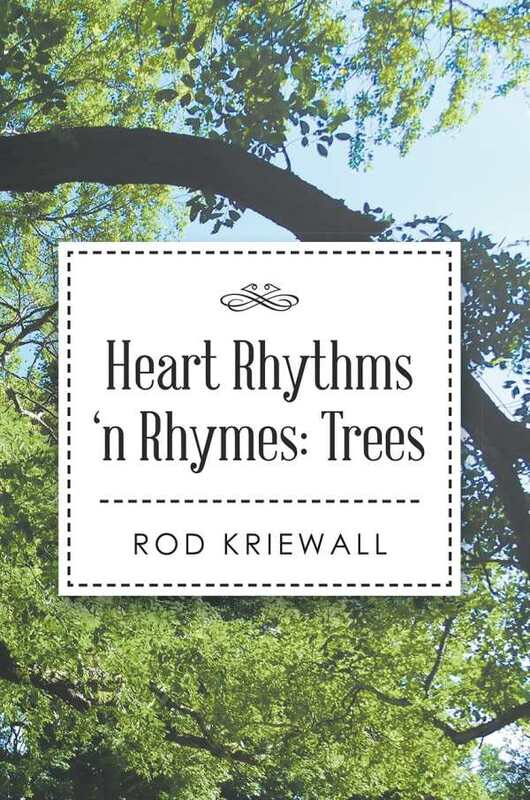 Heart Rhythms ’n Rhymes: Trees is poet Rod Kriewall’s return to the perennial subject of trees, reveling in the simple joy of patterned rhyme to capture his reflections. Trees are the umbrella theme organizing the broad range of poems in this slim, chapbook-length volume. Short, haiku-like poems are arrayed around longer, multipage poems, and the occasion of these twenty-two poems varies from humor to observation to moral or religious instruction. A central tenet that’s often returned to is the purpose of a tree, and the poet directs the gaze toward the tree as a symbol, specimen, and signifier of creation. In this, the poems understand, much like the work of Houseman and Wordsworth, the romantic impulse to commune with the natural in order to divine the nature of the spiritual. The simple majesty of the tree. Although the result can sometimes seem singsong, it also creates a sense of sweet simplicity, cheerfulness, and resolution. While the poem’s strict adherence to end rhyme suggests a certain formality, the poems play lightly with additional elements of formal prosody. The theme of trees is treated loosely and diversely in tone and poetic approach. Two poems play with shape poetry, poems in which the lines are typographically arranged in such a way as to depict their subject. In “The Walk,” the words wander across three pages forming the image of a meandering path. Similarly, “The Small One” forms the visual of a small tree in reflection of its subject. Other poems, such as “Lemons” and “Fruit or Nut,” are humorous, while ones such as “The Garden” and “The Stand” are religiously instructive. The sonnet, “My Tree and I,” is a high point with its exploration of a tree as ship’s mast, both literally and metaphorically. Interspersed between poems are seven high-quality, full-color images of diverse trees. The images are well-arranged, and the result is both pleasant and artistically illustrative—a delightful surprise considering the everyday nature of the subject. While these images brighten the volume, the branch and leaf graphic borders found on the header and footer of every page compete with the reading experience, rather than enhancing it. There’s a certain joy in repetition, and the music of a true rhyme is one of the earliest that many learn. Kriewall’s Heart Rhythms ’n Rhymes: Trees makes use of that aural pleasure to lift and enliven the verses within.